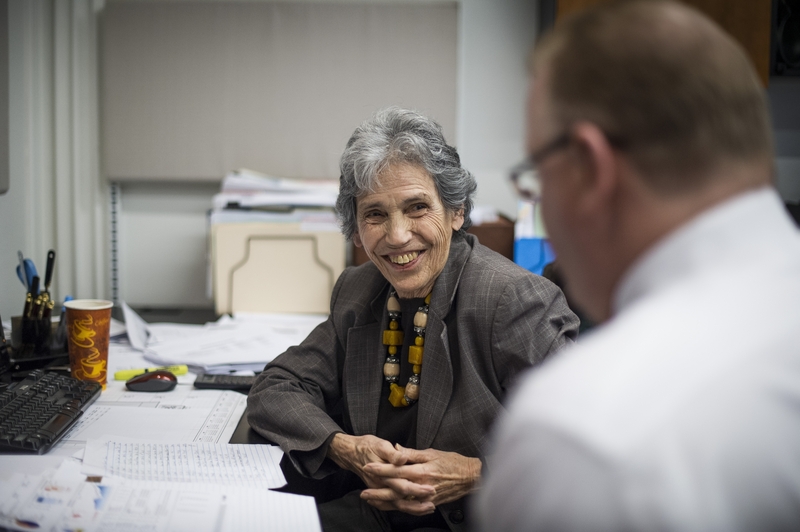 Peg Michelman, 81, a financial planner who works at least two days a week from her home, does a consultation for Circle Advisers in suburban New York. Olga Howard has had a varied career. She worked for Pacific Bell, the California telephone company; reviewed credit card applications for Citigroup; and most recently, taught special education students in Arizona. Now 71, Howard spends about 25 to 30 hours a week working from her home outside Phoenix as a customer service representative for a financial and tax software company. As an independent contractor with Arise Virtual Solutions, a company that provides at-home telephone operators for companies like Carnival Cruise Lines and AAA, she can set her own hours. The Bureau of Labor Statistics said 24 percent of workers in the United States did some or all of their work from home in 2010, the latest year for which data is available. How many of those are older workers is not known, but with more people working into their 60s, at-home work has an obvious appeal to those less mobile or able to do physically demanding work. Howard is paid $9 an hour, with a bonus if she makes a sale. While the pay is not much more than minimum wage, she is not complaining. She makes lunch at home and doesn’t have to spend money on gas or waste time sitting in traffic to get to work. What she earns as a service representative is the extra income she needs in retirement to supplement Social Security and pensions from previous jobs that cover her basic living expenses. Her savings, she said, suffered when she made some bad real estate investments. For some people working from home, the goals of their job may be more modest. Peter Dey, 71, was a dairy farmer until he was 40, when his family’s farm in upstate New York closed. For the next decade or so, he drove a dairy truck, a taxi and then a freight truck as a member of the Teamsters union. In 1996, he said, he fell off a truck and broke his leg. He has been collecting disability payments ever since. About three years ago, he began working as a service representative through Arise, first for a major telephone company and now for an electronic security firm. He provides support to sales representatives, and the pay is a below the amount that would mean a reduction in his Social Security disability benefits. Before working with either company, Dey said, he trained for several months to learn about the company and his job. To get work referrals through Arise, people must spend several months learning about the company they will be servicing through online coursework and then pay $10 to $250 to Arise to become certified. Jared Fletcher, chief marketing officer at Arise, compared the company’s training requirements to those of real estate agents, who have to pay to get a license to sell real estate for an agency. While older people would seem ideal for this job, he said, people over 70 make up only 2.5 percent of its workforce. (Those over 60 account for 6 percent.) Most of the company’s agents are work-from-home mothers 35 to 42. One reason may be the cost of setting up as independent contractors. In addition to paying for training, Howard and Dey set up limited liability corporations that cost them about $1,500 in their states. They also had to buy computers and telephones. At $9 to $10 an hour, it will take a while to earn back their upfront investments, but as independent business operators they can at least deduct those expenses from their income taxes. Not every older person working from home does it solely for the money; plenty use second and third careers to find new meaning in their lives. There are plenty of other ways to work at least some of the time from home in your 70s and 80s. One of those is by simply moving at least some of the office work into the home, which is what Peg Michelman, 81, has done. In 1984, after running the local office for Rep. Ogden Reid of New York for his six terms and then starting a public relations firm, she joined Circle Advisers, a registered investment adviser in New York, where she continues to work as a financial planner. She works at least two days a week from her home in Armonk. She said she did not need the money but loved the stimulation and the feeling that her years of business and life experience had value to clients. Yet she understood that at some point her skills might fade and her partners would nudge her to retire.